Palomino Brands Palomino is a division of California Cedar Products Company, the world’s leading supplier of wooden pencil slats. Cal Cedar has a rich history of developing extraordinary products through six generations of family stewardship. 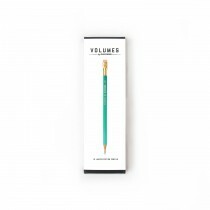 With pencil industry roots dating back to the mid 19th century, Cal Cedar has built a long tradition of excellence and unique supply relationships that now extend to the Palomino writing, arts and stationery products, the most famous of which are its Palomino Blackwing pencils. 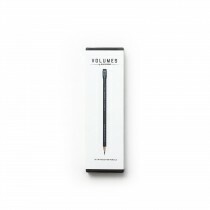 Cal Cedar introduced the Palomino Original graded range of premium pencils to such critical acclaim that many users began comparing their performance to that of the famous Eberhard Faber Blackwing pencil, which had since been discontinued. Cal Cedar soon expanded its Palomino umbrella to revive the iconic Blackwing brand hoping to introduce it to a new generation of emerging artists. Cal Cedar is also responsible for launching the historic ForestChoice line of eco-friendly products, including the ForestChoice graphite pencil which was the world’s first FSC-certified pencil. Palomino’s spirit of innovation and dedication to quality ensure that all of their products reflect the same creativity they hope to inspire.